From 1 to 3 March 2019 will be held in Bologna the XXVII edition of the EUDISHOW, the most important European exhibition event entirely dedicated to the world of diving. 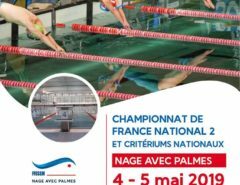 On this occasion, as usual, FIPSAS and, in particular, the Underwater Activities and Finswimming and Didactics divas will meet their members, instructors, technicians, sympathizers and friends. The representatives of the two Sectors will be present at Pavilion 30 (Stand: D21-C18) to answer questions and to explain the novelties of 2019. For the entire duration of the exhibition, at the federal stand, it will be possible to view the promotional films of all the diving disciplines as well as to purchase the various garments that make up the federal sportswear line. 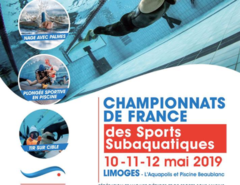 Also in this edition, the Finswimmind and Diving Activity Sector will exalt, through a series of meetings and targeted meetings, its various sports disciplines, with particular reference to the apneistic ones. Therefore, a prominent role will be given by the presentation of the World Fishing Championship in Apnea 2020, which FIPSAS will have the burden and honor to organize in Arbatax – Tortolì (Nuoro), in Sardinia, from 17 to 21 September 2020 , and the meeting entitled: “Promotion of apneistic federal activities”, which will be mainly focused on apnea. The presentation of the World Apnea Fishing Championship will be held on March 2nd, from 5:45 pm to 6:30 pm, at the Assosub Stage, following another federal intervention: “Apnea at the Olympics: a dream that it could turn into reality “, which will be attended by the President CMAS, Anna Arzhanova, the President FIPSAS, Prof. Ugo Claudio Matteoli, and the Pluricampionessa Mondiale di Apnea, Alessia Zecchini. This last intervention will go on stage, again at the Assosub Stage, from 17:00 to 17:45. The meeting “Promotion of federal apneistic activities” will be held instead on March 3rd, from 1:00 pm to 3:00 pm, at the Madrigale hall, where the meeting will take place with the title: “National Meeting for Apnea Fishing” , scheduled for March 3rd, from 11:00 am to 1:00 pm. The spaces reserved for athletes will also be different. Saturday 2 and Sunday 3 March pv, on the sidelines of the interventions called “The Apnea at the Olympics: a dream that could turn into reality” and “Macro mania creative”, there will be the awards, respectively, of the winners of Combined, Male and Female, of Apnea 2018 and of the winners of the FIPSAS 2018 Grand Prix of Underwater Photography, Digital Video Projections, Estemporanee and Underwater Video and of the first three winners of the National Diving Video Contest “I’ll tell you my Club” – 2018 edition. Athletes who will also be the protagonists of the intervention “I medagliati azzurri di Kaş”, during which Alessia Zecchini, Michele Giurgola and Antonio Mogavero will recount the emotions experienced on Turkish soil during the last CMAS World Championship of Apnea Outdoor. This intervention will be held at the Assosub Stage on March 3rd, from 3:00 to 3:30 pm. Among the scheduled events, to be reported is the speech entitled: “Press Conference of the Technical Director of the National Team of Fishing in Apnea”, scheduled for March 2 pv, from 16:00 to 16:30, at the Palco Maiorca, that the intervention with the title: “CONI Training for Sport Apnea”, during which the path that leads to the formation of technical apnea in synergy with the CONI School of Sport will be analyzed. This last intervention will take place on March 2nd, from 3:00 pm to 3:30 pm, at Palco Maiorca, and on March 3rd, from 10:30 am to 11:00 am, always at Palco Maiorca . Then there will be the seminars dedicated to underwater photography, set up in the order of “The Underwater Photography of Fabio Iardino” (Friday 1st March, from 3:00 pm to 4:00 pm, at the “University of Underwater Photography”), “Photography is not just about accomplishing what the photographer has in mind, but above all evoking emotions” (Saturday, March 2nd, from 2:00 pm to 3:00 pm, at the “University of Underwater Photography”) and “Macro Mania Creativity” (Sunday 3 March pv, from 14:00 to 15:00, at “University of Underwater Photography”). Finally, there will be moments of deepening related to specific issues, such as, for example, “Fishing in Apnea: how the sea changes – the fish crisis”, scheduled for March 3rd, from 3:30 pm to 4:00 pm : 00, at the Palco Maiorca. 3.00pm – 4.00pm Stage with the title: “The Underwater Photography of Fabio Iardino”. The stage speaker will be Fabio Iardino. Introduction by the National Referent of Underwater Photography, Mario Genovesi. The appointment will take place at the space called “University of Underwater Photography”. 14:00 – 15:00 Stage entitled: “Photography is not just about accomplishing what the photographer has in mind, but above all evoking emotions”. The speakers of the stage will be Stefano Proakis and Isabella Furfaro. Introduction by the National Referent of Underwater Photography, Mario Genovesi. The appointment will take place at the space called “University of Underwater Photography”. 3:00 pm – 3:30 pm Intervention entitled “CONI Training for Sport Apnea”. The speakers of the intervention will be the members of the Apnea Commission, Giorgio Bestente and Michele Geraci, with the participation of the World Apnea Pluricampionessa, Alessia Zecchini. The appointment will take place at the Palco Maiorca. 4.00 pm – 4.30 pm Intervention entitled: “Press Conference of the Technical Director of the National Apnea Fishing Team”. The speaker of the intervention will be the Technical Director of the National Apnea Fishing Team, Marco Bardi. The intervention will take place at the Palco Maiorca. 17:00 – 17:45 Intervention with the title: “Apnea at the Olympics: a dream that could turn into reality”. The speakers of the speech will be the President of CMAS, Anna Arzhanova, the President of FIPSAS, Prof. Ugo Claudio Matteoli, and the Pluricampionessa Mondiale di Apnea, Alessia Zecchini. Following is the award ceremony of the winners of the Combinations of Apnea, Male and Female, 2018. Both the intervention and the award ceremony will take place at the Assosub Stage. 5:45 pm – 6:30 pm Intervention with the title: “Presentation of the World Championship for Apnea 2020”. The speakers of the speech will be the President of CMAS, Anna Arzhanova, the President of FIPSAS, Prof. Ugo Claudio Matteoli, and the President of the Sector of Underwater Activities and Finswiming, Carlo Allegrini. The intervention will take place at the Assosub Stage. 10:30 – 11:00 Intervention entitled “CONI Training for Sport Apnea”. The speakers of the intervention will be the members of the Apnea Commission, Giorgio Bestente and Michele Geraci. The appointment will take place at the Palco Maiorca. 11:00 – 13:00 Meeting with the title: “National Meeting of Apnea Fishing”. The speakers of the meeting will be the President of the Underwater Activities and Finswimming sector, Carlo Allegrini, the National Referent of Apnea Fishing, Roberto Palazzo, and the Technical Director of the National Apnea Fishing Team, Marco Bardi. The appointment will take place at the Madrigal Hall. 1:00 pm – 3:00 pm Meeting entitled: “Promotion of apneistic federal activities”. The speakers of the meeting will be the President of the Underwater Activities and Finswimming Sector, Carlo Allegrini, the Apnea Outdoor Sports Director, Michele Geraci, and the Technical Director of the National Indoor Apnea Team, Monica Barbero. The appointment will take place at the Madrigal Hall. 14:00 – 15:00 Stage with the title: “Macro creative mania”. The stage speaker will be Guglielmo Cicerchia. Introduction by the National Referent of Underwater Photography, Mario Genovesi. The award ceremony will include the winners of the FIPSAS 2018 Grand Prix of Underwater Photography, Digital Video Projections, Estemporanee and Underwater Video and the first three winners of the National Underwater Video Contest “I’ll tell you my Club” – 2018 edition. that the award ceremony will take place in the space called “University of Underwater Photography”. 3:00 pm – 3:30 pm Intervention with the title: “The blue medalists of Kaş”. The speakers of the intervention will be the members of the Italian National Team of Outdoor Apnea Alessia Zecchini, Michele Giurgola and Antonio Mogavero. The intervention will take place at the Assosub Stage. 15:30 – 16:00 Intervention entitled: “Apnea fishing: how the sea changes – the fish crisis”. The speakers of the intervention will be the Technical Director of the National Apnea Fishing Team, Marco Bardi, the Technical Staff member of Apnea Fishing, Prof. Antonio Terlizzi, and Dr. Valerio Sbragaglia. The intervention will take place at the Palco Maiorca. The space called “University of Underwater Photography” is a limited area in which there will be a speaker table, microphone system, monitor, 35 seats, registration table with hostess for accreditation and certificate issuance operations. At the end of each meeting, participants will be issued a certificate of participation by the organization of the Audi Show. The Stage calendar will be promoted through the Eudi Show information channels and on the website www.eudishow.eu. Visitors who wish can book for free for participation in the Internships, through online forms. • Bologna Central Station is only 10 minutes from BolognaFiere and is connected to the entrances of Piazza Costituzione and Viale Aldo Moro from lines 35, 35 / and 38.